On the 21st of April 2018. Sri Lanka Unites was happy to be part of a panel discussion during the 2nd National Youth Summit organized by Sri Lanka Development Journalists Forum. The theme of the forum was to be a Dialogue for Peace and Sustainable Development. SLU believes that this discussion and forum is timely initiative for a platform of this nature to be set up and we are also excited about the possibility of the push for a youth and peace-building policy. SLU believes youth and peace building does deserve attention through a policy We are convinced that the investment is worth it, for national security, for economic development, environmental sustainability and many other factors. Sri Lanka sees a cycle of violence every 18 years, where young people are radicalized, blood is shed, and just as we feel feel we have taken one step forward, we take 10 steps back. We need young people to pledge that mistakes of the past, where violent conflict was resorted to as an approach to solving communal issues, won’t be repeated again, as we all work towards shared prosperity. In our experience, youth who are trained to see life through a peacebuilding lens, automatically start seeing injustices in the economic system /political system/ social structures in day to day life. Since there are many groups addressing the topic now with a favorable political climate, we believe this policy really is an important investment of time and effort. Sri Lanka Unites is an Implementing organization and we have worked under the radar for a long time because of political uncertainty. We feel a policy would ensure that neither SLU or any other peacebuilding community would have to function under the radar again, so we do endorse and support this idea. The following points were recommendations shared by SLU at the panel discussion. We hope these recommendations would be utilized when drafting the details of the policy. The recommendations stem from 11 years of challenges faced by SLU in the youth and peace-building space. We hope the challenges we have faced with our work would also be used to justify the need for a policy on youth and peace building. We believe that that reconciliation does not happen overnight. Each year we host a 5 day long residential conference, and we know for a fact that this is only the beginning of a young persons journey into reconciliation. We have observed that it takes a very long time for someone to truly and fully be accepting of another ethnic group, given the reality of our past and present . We also however genuinely believe that it is possible for a young person to reconcile despite the time it takes. As they grow older, new questions keep coming up, making young people reconsider their stance on reconciliation. 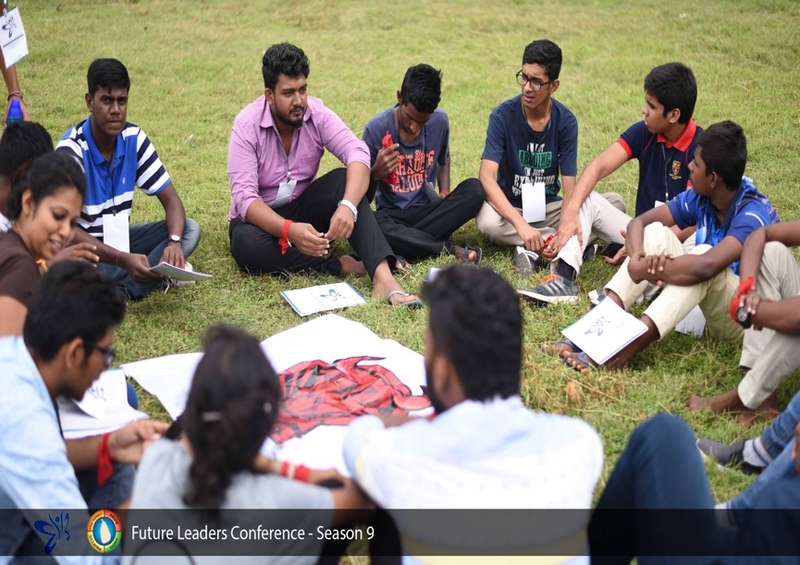 For 11 years, SLU has been studying the transformational process of young people and what we feel is there is a need to have young people engaged in tough, open conversations, systematically throughout their years as young adults, where they solidify how they view the world and other ethnic groups. If we are to see young people truly transform we challenge ourselves to strategically plan out how we engage our students, without letting them go after just one program. So they continuously engage with us in deeper conversations as they get older. SLU has tested this out and designed programs that engage young people consistently for over a period of a year or two with guide-books, school relation tours and social action projects. So in terms of the policy, we hope it will consider looking at youth transformation strategically, starting from the time they are in school, preferably even though technically they aren’t youth, right unto age 29 where they are constantly and systematically engaged with the topic. 2. The second challenge is that youth peace-building cannot not be achieved by just investing in youth. SLU has engaged with over 300 schools and over 20 universities in the country, but we know that investing in just the young person is not enough. Teachers/principals/parents are all a part of it. Young people are energized at our conference's, but are demotivated from engaging with the conversation once they go back to their schools with principals and teachers who do not understand the value of reconciliation. 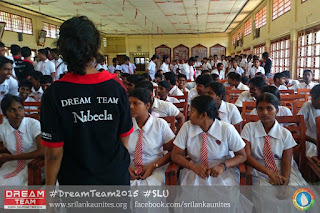 SLU countered this barrier by setting up a vibrant SLU Teacher’s Department for teachers in-charge of SLU clubs at schools. The teachers act as middle men between the students and the principal, and also the parents. This investment was critical to ensure engagement with schools. We hope the policy would carefully address these barriers. We hope the policy could cover the need to invest in these stakeholders as well. SLU has observed that once a young person accepts the message of peace building and chooses to reconcile, they are less prone to relapsing when they have a youth mentor, preferably a few years older than them, to look upto. 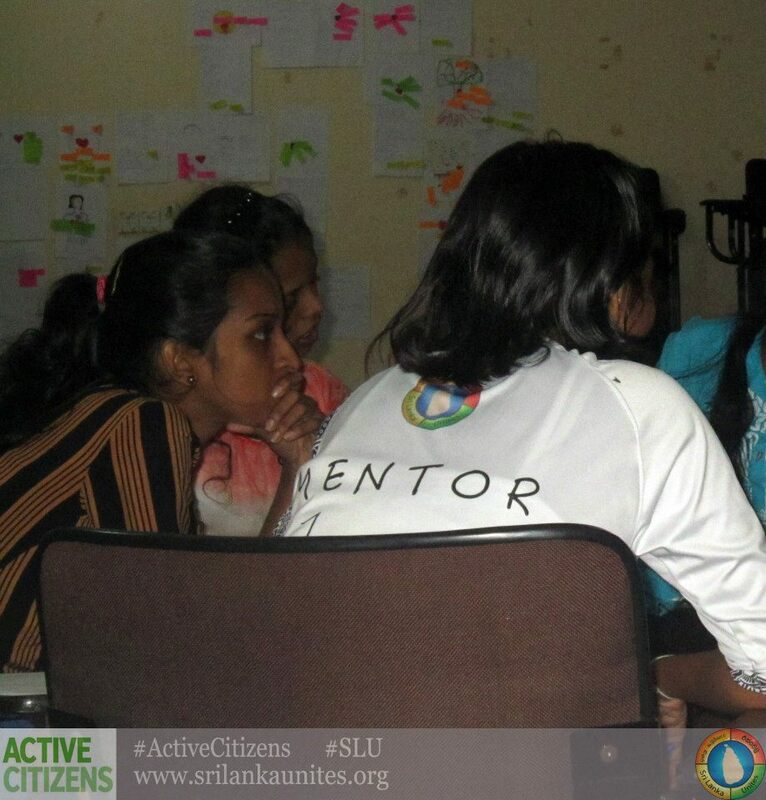 Young people in Sri Lanka don’t have mentors to discus their grievances anywhere in the education system. Through SLU, students who engaged with us have access to trained mentors who were taught to stay in touch with students after conferences and just be their friend. We have seen incredible results. Ex when there is communal tension, the students first instinct is to ask the SLU mentor to explain why tensions take place. The mentors take time to explain to the student of how not to generalize an ethnic group or religious groups based on the actions of a few. This has been an effective buffer because their is constant reinforcement by someone they look unto. We hope the policy in discussion would consider addressing this challenge as well.